executing original events and productions for over 17 years. We are proud to have worked with over 7,000 world-class artists, celebrities, and entertainers covering all continents from over 33 countries including the UK, Italy, France, Germany, Spain, Russia, Poland, Hungary, Ukraine, Bulgaria, USA, Argentina, Cuba, Brazil, Mexico, Canada, Kenya,Tanzania, Lebanon, Jordan, India, Cambodia, Indonesia, Thailand, Philippines, China, Japan and Korea. Total Concepts stages exclusive concerts featuring top international artists at most prestigious venues. Total Concepts is an established organizer and producer of international festivals and world-class entertainment productions. Total Concepts organizes numerous international carnivals featuring top international cultural groups from all over the world. Whether it is an annual celebration, a product launch, gala dinner, or team building event, Total Concepts conceptualizes, designs, and executes customized corporate events. Total Concepts designs, executes and delivers innovative and customized PR, Digital Media & Marketing campaigns. We are proud to have worked with over 7,000 world-class artists, celebrities, and entertainers covering all continents from over 33 countries including the UK, Italy, France, Germany, Spain, Russia, Poland, Hungary, Slovakia, Ukraine, Bulgaria, USA, Argentina, Cuba, Brazil, Mexico, Canada, Kenya, Lebanon, Jordan, Cambodia, Indonesia, Thailand, China, Japan and Korea. Cinescape™ Box Office is geared to support the global filmed entertainment industry. Cinescape™ Box Office offers professional marketing, logistics, and production support services for film, television, and media organizations. A SPECIAL INVITATION TO FILM IN THE VISIONARY PART OF THE WORLD! Voice-over Production, Digital Content Creation, Digital Advertising, and Social Media Management. and make the desired impact in a cost-effective and efficient way. International expertise in professional Makeup Artistry, Wardrobe Styling, Hair Styling, and Set Design. and successfully delivered by our team of professional event organizers and creative producers. Total Concepts conceptualizes, designs, and produces innovative land-mark events and Entertainment Productions on an annual basis for the Dubai Shopping Festival (DSF), the Middle East’s premiere shopping festival, as well as the Dubai Summer Surprises (DSS), the Middle East’s leading summer entertainment festival. Total Concepts successfuly delivered the production, branding, logistics, security and staffing for the ultimate Korean Convention and Exhibition - KCON held at Du Arena-Yas Island in Abu Dhabi. Total Concepts, in conjunction with Cinescape Box Office, proudly supported the production of the International Showbiz Expo (ISBE) and organized the production and logistics of the first major Korean movie in the UAE featuring Korea’s top actor Kim Woo-bin. Total Concepts conceptualized, designed, and produced the Global Cultures Festival, Carnival of Asia, the Dubai Fringe Festival (the 1st Fringe Festival in the Middle East), as well as the World Wrestling Championship (WWC), the 1st entertainment wrestling championship in the Middle East. Other key entertainment productions delivered by Total Concepts include the East China Circus and Chinese New Year at Madinat Jumeirah as well as Disney adaptations such as Peter Pan and Sleeping Beauty at Jumeriah Beach Hotel. Total Concepts also delivered the Argentinean Ballet, the Shaolin Monks, and the Chinese State Circus to Muscat Festival in Oman. In addition, Total Concepts conceptualized, designed, and produced The Fringe Theatre, a customized purpose-built theatre which featured the world-class Korean theatrical productions Karma and Jump. Total Concepts also conceptualized, designed, and produced a 3 day ballet production in collaboration with the Kremlin Ballet Theatre direct from the Kremlin Palace in Moscow. The ballet production was noted by the press as the new benchmark for ballet in the region. In addition to Festivals, Theatre Shows, and Entertainment Productions, Total Concepts conceptualizes and delivers customized Corporate Events. Total Concepts produced and delivered the Middle East launch of Braun Gillette Silk-épil X'elle and Rolls Royce Phantom Coupe at the prestigious Jumeirah Beach Hotel and Burj Al Arab respectively. Total Concepts also delivered the full entertainment program at the prestigious World Travel Awards. Total Concepts organizes Exclusive Concerts featuring top international artists at world famous and prestigious venues. International Artists presented by Total Concepts include Fairuz (Lebanon), Rozenbaum (Russia), Nancy Ajram (Lebanon), A'Studio (Russia), Valeriy Meladze (Georgia), and the Commodores (US); with concerts staged at the prestigious Emirates Palace (Abu Dhabi) and Burj Al Arab (Dubai). Total Concepts conceptualizes and delivers robust PR & Digital Media coverage and solutions, and has supported the promotion of the Dubai Fringe Festival, Peter Pan, Sleeping Beauty, Snow Queen, Korean Medical Tourism Forum and Exhibition and K-Con Concert & Exhibition among other key events. Total Concepts supports on an ongoing basis various clients through Digital Content Creation, Digital Advertising, and Social Media Management. Join us in the celebration of arts and entertainment! An MBA graduate of Georgetown University (Washington D.C., USA), Bilal has over 15 years of experience as a Senior Business and Management Consultant. 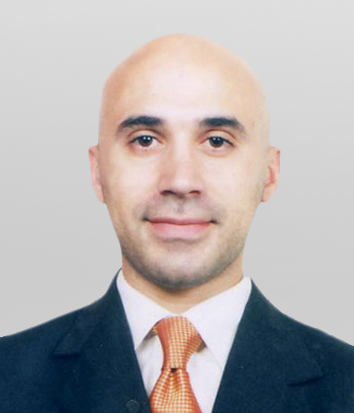 Bilal led various organizational and management consultancy projects as a Senior Management Consultant at the leading US consultancy firm Booz Allen & Hamilton, and has consulted to a number of multinational organizations, investors, and entrepreneurs in North America, Europe, the Gulf Cooperation Council (GCC), and Asia. 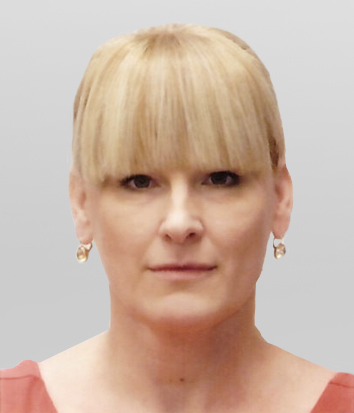 Delivering the big picture with a meticulous eye for fine detail is Veronika’s specialty. An award-winning producer and one of the top 50 successful young women in Hungary. With over 20 years of experience in organizing and producing world class theatre events, concerts and sport entertainment in Europe and Asia namely England, Spain, Holland, Denmark, Slovakia, Czech Republic, Romania, Hong Kong, Bahrain, UAE, and many other international cities/countries. 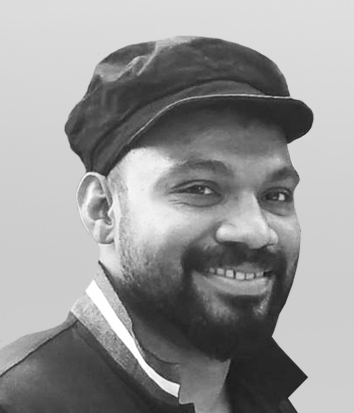 Born and raised in the UAE, Abdul Rahman is an Events and Logistics specialist with over 10 years of industry experience. His expertise encompasses client servicing, project management, operations, logistics and project cycles. Day-to-day, Abdul liaises with clients, colleagues and suppliers to deliver a high-quality and professional service on time, every time. 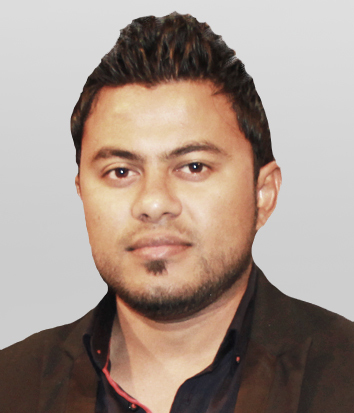 Abdul Rahman’s experience covers numerous regional and international events and productions. 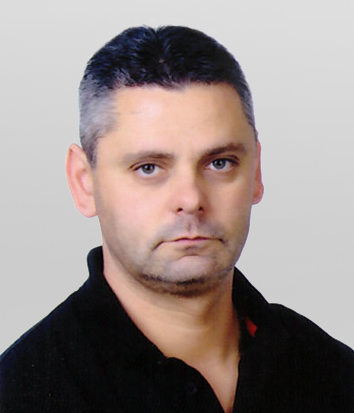 With over 20 years of working experience in the event industry in Europe, Lajos has a deep technical understanding of the event industry and uses his latest high-tech assets and his highly-skilled team to turn clients’ dreams into extraordinary events. Lajos knows how vital it is to be constantly pushing for improvement in terms of quality, cost and delivery. It’s a message Lajos instils in his team on a daily basis, ensuring they always deliver to a high standard – on time and on budget. As a Creative specialist, his experience ranges from corporate identity to the conceptualization and implementation of international advertising campaigns. With over 10 years of experience in the field of visual communications, he can take your ideas, sketches and thoughts and bring them to life across many applications. As a graduate in Computer Science, his design training coupled with his experience as a Media co-ordinator give his very well rounded approach to every project. 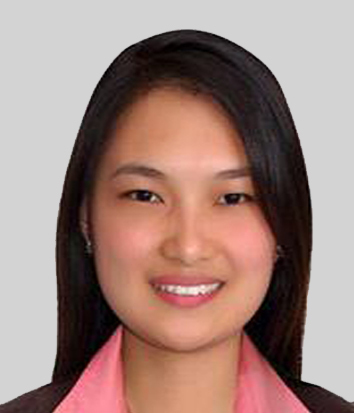 Katrina has previous experience in a variety of administration and customer service roles. She has a great eye for detail, articulate communication and fantastic customer service skills meaning our clients receive a personalised and friendly service every day. Katrina enjoys helping her clients better understand their business numbers and taking away the pressure and stress of accounting paper work. "Clearly demonstrates the close cooperation that exists between the DTCM and Total Concepts in ensuring that the destination is always at the forefront in the region"
"In my 15 years at Gillette, I had never fully enjoyed an Open Forum. WELL DONE WITH TOTAL CONCEPTS"
"Absolutely Reliable & Truly Professional!" "TCI Professionally and Successfully Delivers even at Short Notice!" pleasure working with the team at TCI"
OR CONTACT US USING THE ONLINE FORM BELOW!